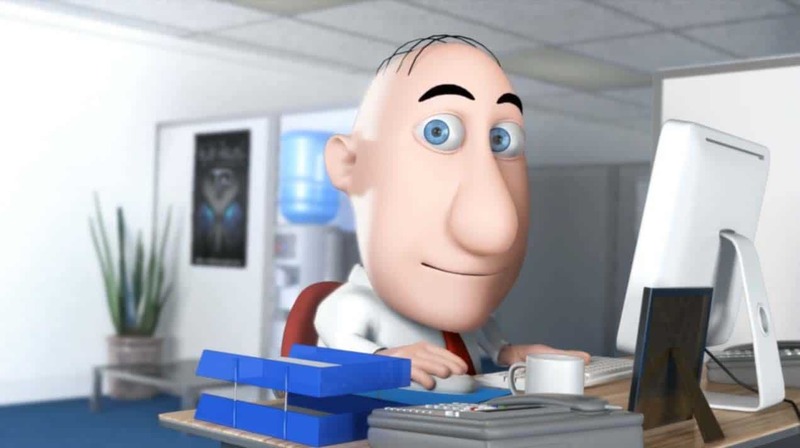 Back in 2010, we were in early discussions with Steven Swan, CEO of TidyBuyer about making a simple little animation to help promote his new business. What started off as essentially a very basic cartoon with minimal animation and effects soon grew into a much bigger and more complex project. After a face to face meeting and subsequent Skype video calls we both had a good idea of what we wanted to achieve. From here our lead artist Gio began sketching some character concepts of the main character Bob. Once the concept was signed off we moved onto modelling. With the character concept approved, we then moved on to building the base model in Maya. As Bob had a very distinctive style, a bespoke mesh was required. 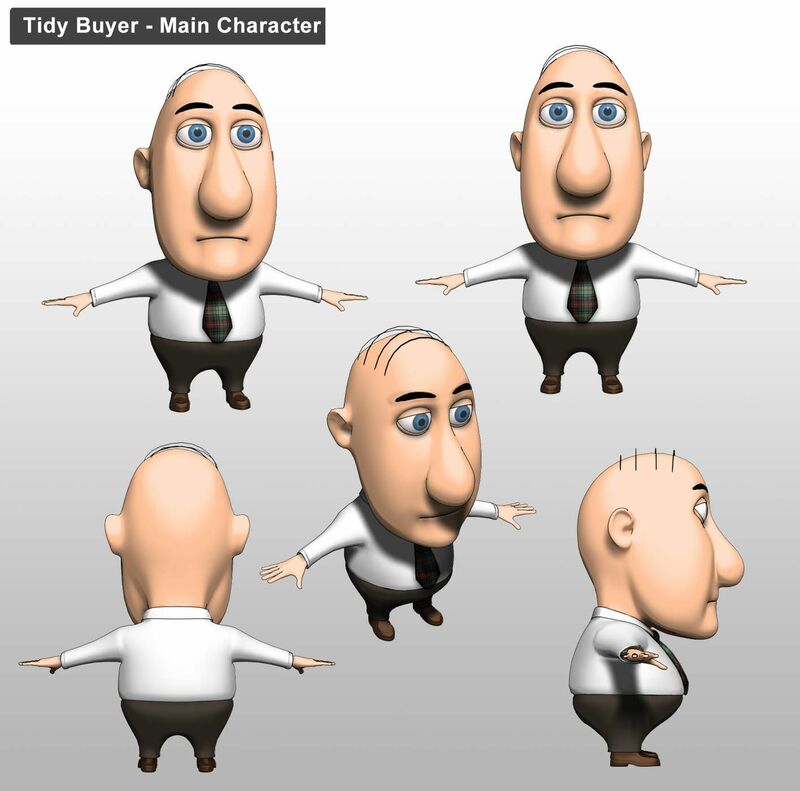 Once the model was approved, the next phase is rigging which involves creating a hierarchy of bones and controls through his body to deform him and allow Bob to be posed and animated. A simple facial control system was made to aid in smooth facial transitions when his mood needed to flow according to the circumstances of the story. Some rough storyboards had been laid out around this point but on this project, our client was happy to let us have free reign from here as he felt completely safe in our hands. We had also created a large selection of images and banners to feature on the TidyBuyer website as well including an animated banner for the homepage. After roughly 2 months hard work getting all the shots animated and rendered out, we could move on to compositing and editing. The voice over previously recorded were a little too wordy for the final videos and had to be carefully edited to cut out unnecessary fluff that slowed the pace. 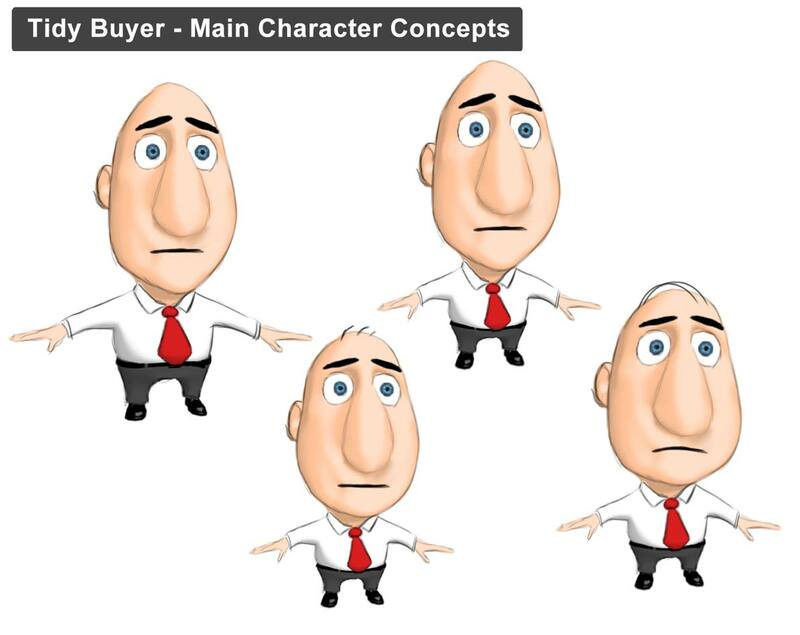 There are actually two versions of the video, a buyer version featured Bob, but also a seller video aimed at the suppliers who can also sign up on the website. An alternative version of Bob was created called Fred. Just a simple hair and tie change but as this was a last minute request from the client. Though tricky to accommodate with such a short turnaround, we got it done, on budget and on time for our client.